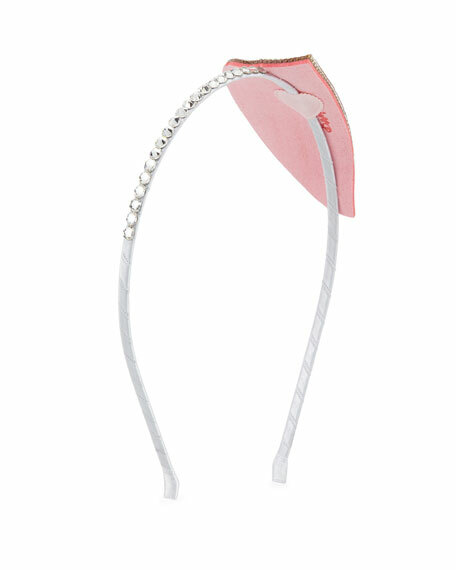 Bari Lynn watermelon headband adorned with Swarovski® crystals. For in-store inquiries, use sku #2625327. 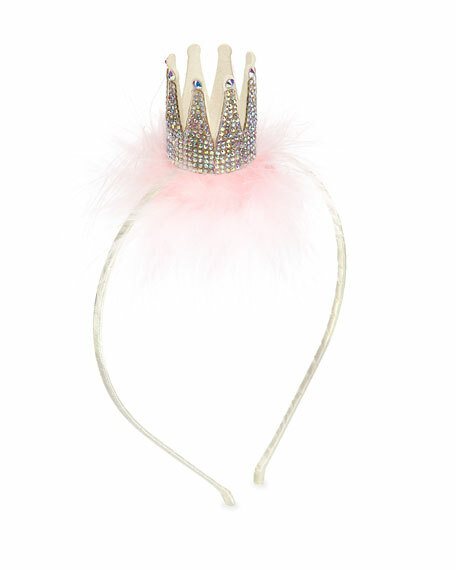 Bari Lynn headband with crystal embellished 3D crown atop marabou feathers. Satin wrapped flexi-ribbing. Polyurethane backing. Made in USA of imported material. Exclusively ours. Bari Lynn glittered bunny ear headband with crystal trim. Dyed fox (China) fur bow to side. Satin-wrapped flexi-ribbing. Made in USA of imported material. 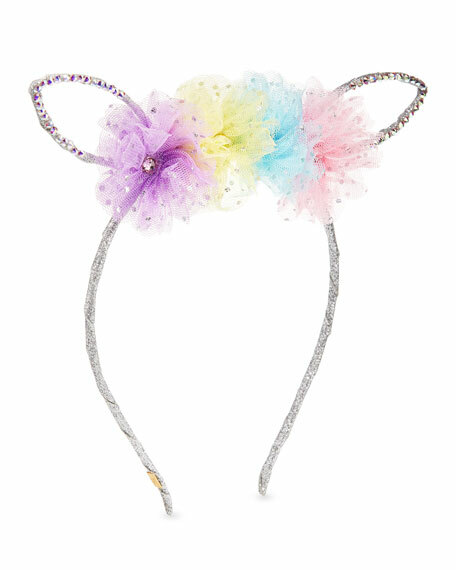 Bari Lynn glittered bunny ear headband. Multicolored pastel tulle flower trim at top. Adorned with Swarovski crystals. Satin-wrapped flexi-ribbing. Polyurethane backing. Made in USA of imported material.